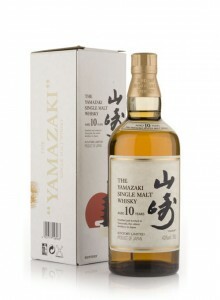 By last Friday, I was focused on a new Whisky. Not for the collection or for investment, but to drink. The plan was to spend about £30 on an ‘everyday’ and easygoing dram. For too long now, i have been dipping into the expensive end of the Ardbeg scale, and with prices of Alligator escalating, I feel like I should save those last few bottles (because it would hurt me too much to replace). On Saturday afternoon, I found myself in a Whisky shop in Stamford Bridge. By no means a heartland of fine spirits, it nevertheless offered some options for me. My usual supply would come from Skipton, but I wanted something now. The selection at Stamford Bridge is by no means vast – infact, they have more of the rarer or expensive Whisky behind the counter than they do on the shelves – but they are friendly, willing to talk and always offer a taster.